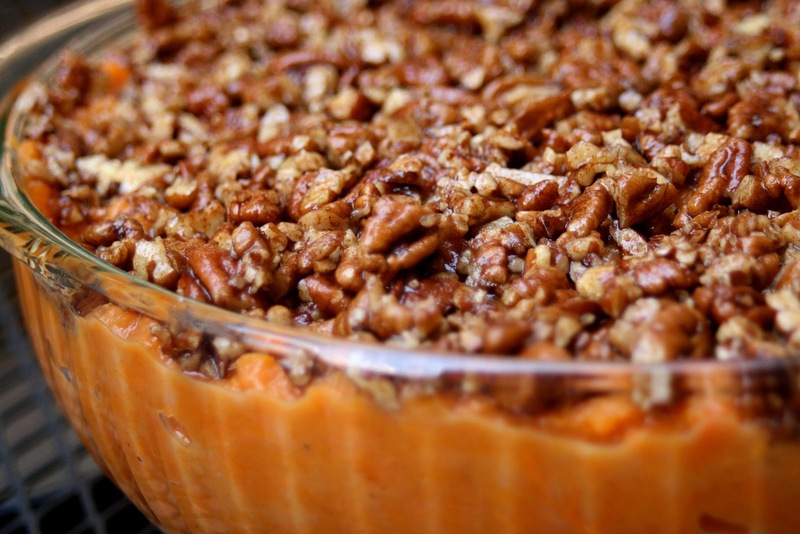 A little twist on a sweet potato casserole while maintaining the same great taste! 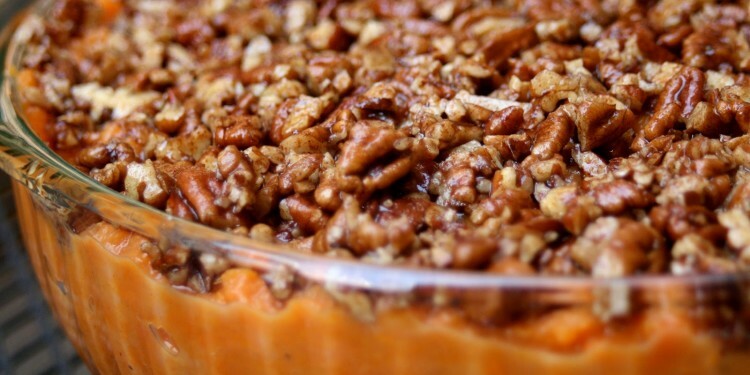 Combine maple syrup, rolled oats, pecans and butter. Stir thoroughly until all of the ingredients are mixed evenly. Preheat oven to 400 degrees Fahrenheit. Butter a casserole dish. Set aside. Poke holes in 4 sweet potatoes and place in oven. Make until tender ( 50-60 minutes). Reduce oven to 350 degrees. When potatoes are done roasting, pull out of oven and remove skin. place into large bowl and combine butter. Mash together using potatoes masher or fork. Whisk in eggs, maple syrup, milk of choice, vanilla, salt, and orange zest. Mix thoroughly. * Keep in mind substitutions can be made for ingredients such as coconut milk, Earth Balance butter, eggs, and oats.